Conveniently situated in the exclusive area of Yaowaraj Road, the hotel is located just about a 40 minutes' drive from Suvarnabhumi International Airport. The hotel is also in the heart of the well-stocked shopping bazaar and the famous food market. 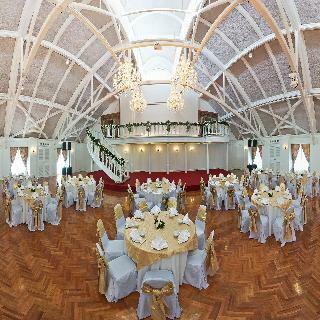 For over 70 years, this 75-room hotel has made a name for itself, serving its guests with Thai and Chinese hospitality. Hotel has a lobby, safe and shops. It has a café and a restaurant. Room and laundry services are also available. Rooms all have panoramic views, as well as satellite TV, air conditioning and minibar. Also rooms are equipped with, tea and coffee maker, international direct dial telephone and internet. Each room has suite bathroom. . Breakfast is provided as well. The coffee shop features à la carte dining. Pho Place Guesthouse in Bangkok Thailand, is surrounded by numerous shopping facilities and amenities within walking distance. Chinatown's famous street food delights and unique shops are inviting with the genuine Thai charm that is renown all over the world. For those seeking adventure outside of the city, Pho Place Guesthouse is also located within a short taxi ride to the Hua Lamphong Train Station where travelers have easy access to the entire country. In Chinatown surround the area with many hostels and guesthouse. 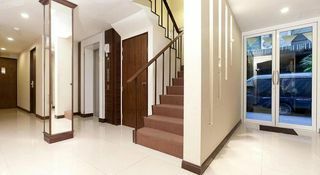 Our Guesthouse is the most newest in the area with high quality of room amenity and service, included safety and easy access to the other transport as Express Boat, MRT Train and National Trains.Attraction :Sampeng Market is 500 metres from Pho Place, while Temple of the Golden Mount is 1.8 km away. The nearest airport is Don Muang Airport, 22 km from Pho Place. This hotel enjoys a strategic setting at the heart of China Town in Bangkok. 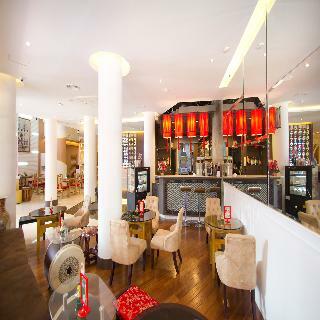 The hotel is surrounded by restaurants and stalls serving authentic cuisines. The hotel is located just a short distance away from the spectacular Grand Palace and Chaopraya River. Links to the public transport network are situated just a short distance away. Don Mueang International Airport is 26 km from the hotel, while Suvarnabhumi International Airport is just 40 km away. This charming hotel comprises beautifully-designed guest rooms, which are equipped with standard amenities for a pleasant stay. Affording guests excellent facilities and services, this hotel is sure to appeal to discerning business and leisure travellers. Boasting a shared lounge and on-site dining, The Unforgotten B&B is situated in Bangkok. 800 m from Sampeng Market, the property is also 1.8 km away from MBK Shopping Mall. 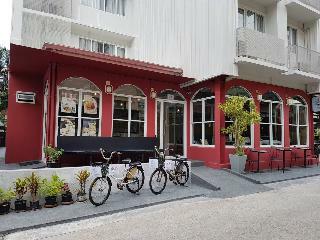 Set in the Bangkok Old Town district, the bed and breakfast is within 2 km of Snake Farm-Queen Saovabha Memorial Institute. At the bed and breakfast, rooms are equipped with a wardrobe. Free WiFi is available to all guests, while some rooms are equipped with a terrace. 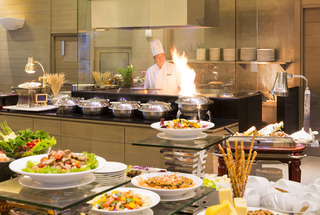 A à la carte, American or Asian breakfast is available daily at the property. The Jim Thompson House is 2 km from The Unforgotten B&B. The nearest airport is Don Mueang International Airport, 23 km from the accommodation. This property also has one of the best-rated locations in Bangkok! Guests are happier about it compared to other properties in the area. Prime Hotel Central Station BangkokPrime Hotel Central Station Bangkok offers comfortable accommodation and facilities that appeal to both leisure and business travellers. Located only a short walk away from Hua Lamphong mainline railway station and MRT underground, the hotel provides easy access to Bangkok's Chinatown district, known for its livley scenes and varied shophouses. It's also the perfect base for exploring Bangkok's cultural essentials and for those travelling by rail to resort destinations and Bangkok's surrounding provinces. Located in Bangkok's Chinatown guests of the Grand China Hotel will instantly be immersed in a myriad of exciting sights, aromas and sounds. Close to the main attractions that the eclectic city of Bangkok has to offer, guests can easily explore The Grand Palace, the Temple of the Emerald Buddha, Lumpini Park and the best of Bangkok nightlife. Bangkok International Airport is just 45 kms away. Complementing its historic and culturally-rich surroundings with spectacular contemporary design with Oriental infusions, this spectacular hotel offers the ultimate in luxury and high-class service. The finely-appointed guest rooms exude elegance and tranquillity and offer breath-taking views of the Bangkok skyline. The hotels restaurant invites guests to sit back and enjoy the background music of the restaurant, the sumptuous culinary delights and the 360 degree views, awakening all the guest's senses. “TALAKKIA“ A brand new boutique hotel in the heart of Bangkok. 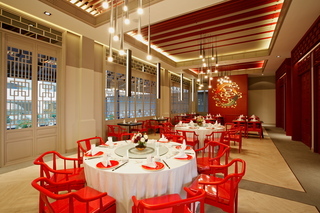 Located right in Charoen Krung Road known as “TALAD NOI” that is a tradition Chinese residence area. TALAKKIA is designed with industrial and show out the identity of the Chinese style in the concept of being clean, modern & affordable. Guests can make the most of all that the lively city has to offer. We offer easy access to Bangkok's points of interest. 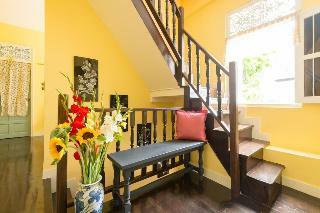 Within walking distance of China Town (Yaowarat), Hua Lamphong Railway Station and River City. In addition, the MRT underground and Chao Phraya Express Boat are just minutes away from this convenient Bangkok accommodation. Hotel's rooms are well appointed to meet all guests' different demands. Our rooms are decorated in modern Chinese Industrial style with Double room, Twin room and Family room with wheelchair accessible. All rooms come with flat-screen TV, electric kettle and Free WI-FI .The bathrooms with hot shower are equipped with premium toiletries, dental kit and hair dryer.Facilities and services at TALAKKIA Hotel is Café, Roof Top Bar & Restaurant,Pool spa, Bus and Tour Ticket, Luggage storage, Electronic key card access, CCTV camera and 24-hour Reception. The friendly staff members will try their best to assist you with a personal service.